Windshield wiper blades are not made to last forever. Because they are made of rubber, they eventually wear down and begin to leave streaks on (or eventually scrape) your windshield. General guidance is to replace once every six months, typically at the start of summer and start of winter. 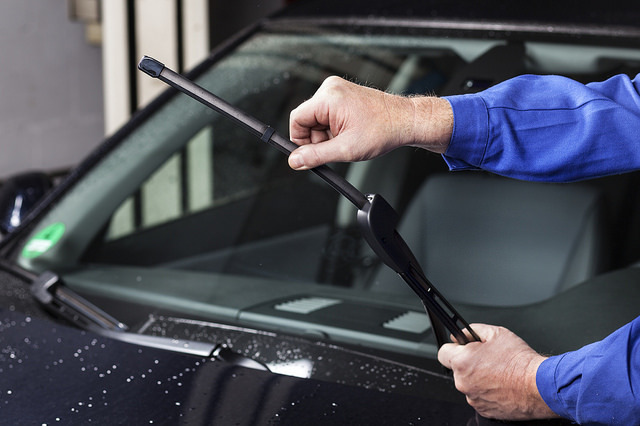 Figure out which blade size you need: Take a measuring tape to size all of your wiper blades. Never assume they are all the same. Alternatively, some auto parts stores can look up your year, make, and model and find the correct blades for you. Remember, you are only changing the rubber blade, not the entire wiper. Purchase the blades: Each blade will run you roughly $15. Lift the wiper arm and unhook the old blade: We highly recommend laying down a towel over your glass in case the wiper arm snaps back and cracks your windshield. After laying down the towel, raise the arm, steady it, and unlock the old blade to remove it. Insert the new wiper blade: The new blade should fit in right where you removed the old one from. Pivot it in until the hook snaps in place. Gently lay the wiper arm back down. Repeat on all other wipers. If your car needs so much more than just windshield wiper blades, take a look at our used car inventory at Chip Wynn Motors. We are still locked into the dead of winter here in Paducah, Kentucky, but as far as your car goes, it is time to start thinking about preparing it for spring. Follow these spring car maintenance tips, courtesy of Chip Wynn Motors, to keep your vehicle in perfect condition this year. Replace your wiper blades: Spring is a very rainy season, so replace your wiper blades now, especially if they cleared off a lot of snow in the winter. 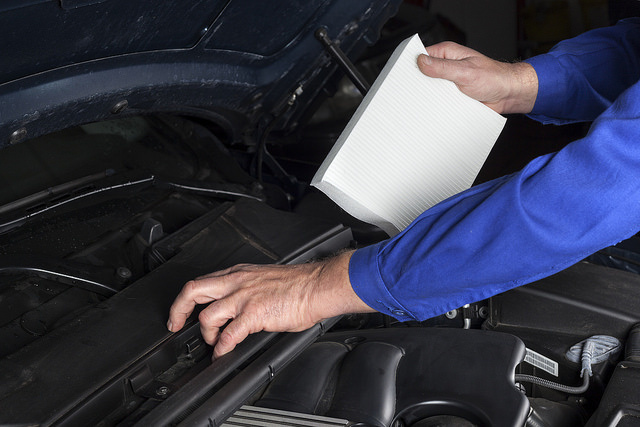 Change your oil and top off fluids: Once it is warm outside, you can finally lift the hood of your engine and get to work on chores you might have put off in colder times. Test your battery: Winter can be harsh on your battery. Make sure yours still runs properly with a quick test. Check your air filter: Spring puts a lot of pollen into the air. Make sure your air filter, as well as other filters, are clean and ready for the season. Inspect your tires: Tires go through a lot of changes in the winter, especially when it comes to inflation. Check your tread and inflation before any long trips. Get it washed: Wash off road salt, especially beneath your car, after the last snow of the season. We all at Chip Wynn hope you enjoy the end of your winter, and are ready to embrace spring with a welcoming smile.